Police have charged Darren Lilly, 23, with terrorizing, saying he possessed numerous weapons and made threats against Central Maine Community College, where he had enrolled for the fall semester. A Bowdoinham man who allegedly threatened to “shoot up” the community college where he had enrolled was charged with terrorizing after police found numerous weapons – including a gun in a violin case – when they arrested him at his home. 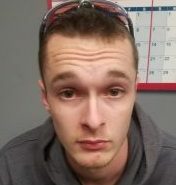 Darren Lilly, 23, was arrested at his home on Feldspar Lane at 5:30 p.m. Monday and Sagadahoc County Sheriff’s deputies seized a mix of handguns, rifles and shotguns from his house, and two firearms from a car, the department said in a statement. The arrest stemmed from information deputies received that Lilly “was in possession of numerous firearms and had made threats to shoot up Central Maine Community College in Auburn,” a sheriff’s department statement said. People who know Lilly heard him make the threats within the last week, Chief Deputy Brett Strout said. He declined to elaborate, citing the need to protect witnesses. Investigators didn’t identify a motive. Lilly had been admitted to CMCC for the fall semester, said Scott Knapp, the college’s president. “Obviously, we’re revoking that admission,” he said. The violin case with the gun inside was found in the car. 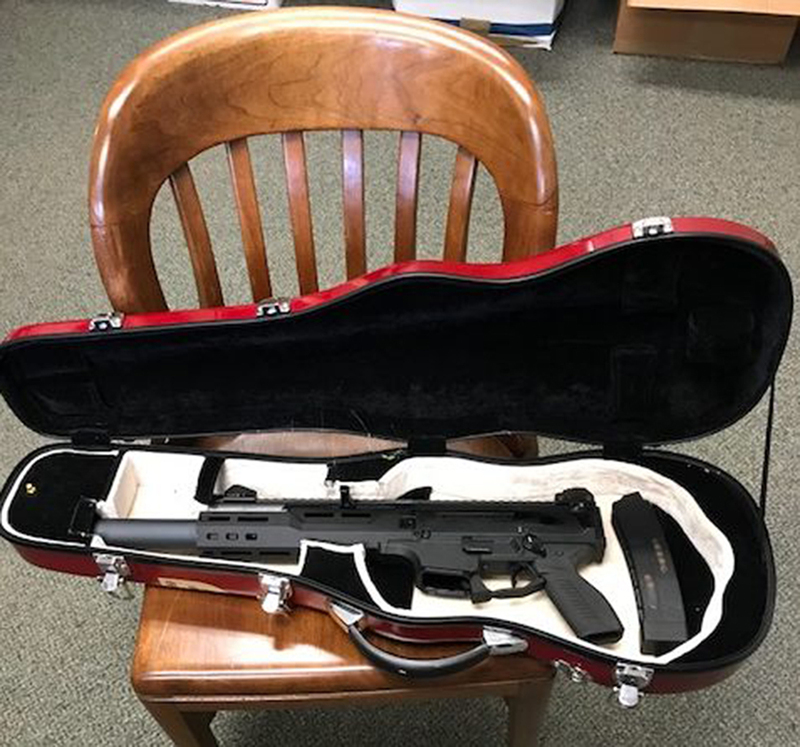 Strout said carrying a weapon inside an instrument case is legal. However, the department has contacted the Bureau of Alcohol, Tobacco and Firearms to determine if one of the weapons seized – a sawed off shotgun – is legal to possess. Lilly was charged with terrorizing, a Class C felony punishable by up to five years in prison and a $5,000 fine. He posted the $1,000 unsecured bond and was released with conditions that restrict him from possessing firearms and bar him from Auburn. Asked why the bail was set so low, Strout said the bail commissioner sets bail based on criteria they must follow. “In this instance, my deputies interviewed (Lilly), they took from him his weapons and he was cooperative, so they must have felt what was done was sufficient or reasonably sufficient,” Strout said. While the sheriff’s department was concerned enough to arrest Lilly, Strout said Lilly cooperated and retrieved his guns for deputies. Public records show that Lilly does not have a criminal record in Maine. The sheriff’s department also contacted Auburn Police Department and Central Maine Community College, as well as the Sagadahoc County District Attorney’s Office. Strout said police didn’t release information about the arrest until Tuesday morning to make sure those agencies all were informed of the situation. Knapp, the CMCC president, said Auburn police told the college about Lilly’s threats and arrest Tuesday morning. CMCC quickly activated its emergency notification system, alerting faculty, staff and students about the threat via personal phones, campus phones, text, email and campus computers. A separate email also went out to faculty and staff with a photo of Lilly attached. The college also has paid for additional police protection from the Auburn Police Department. CMCC remains open and its summer classes are operating on schedule. Knapp had no idea why Lilly might have wanted to threaten the community college, and he said CMCC hasn’t been the focus of a threat in his 21 years as president. “This is a first for me,” he said. Sun Journal Staff Writer Lindsay Tice contributed to this story.